The one stop shop for buying, replacing or caring for your lawn. Before you choose or buy turf, read our tips on how to plan your yard so that it ticks all the boxes for your lifestyle. Preparation is key when installing a new lawn and there are some very simple, but important rules to follow. Firstly, and most importantly – have your turf delivered on the day you plan to install it. Also check the weather forecast, and if it’s hot plan an early start to prevent your turf from drying out. Keeping your lawn moist during the establishment period is essential – this is generally about two weeks – but depends on the time of year, weather conditions and where you are located. 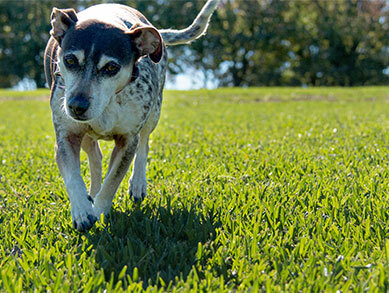 No sweat: new lawn uses little water, looks lush longer. 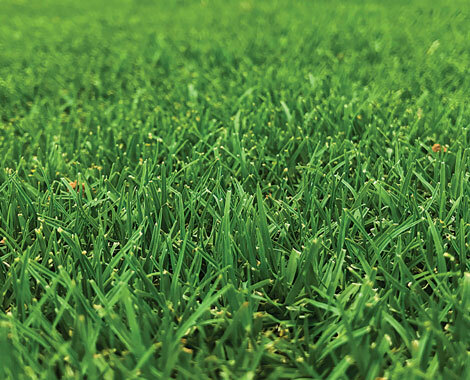 Bunnings, through Lawn Solutions Australia (LSA), will now stock a new lawn type that needs minimal water and minimal maintenance. Looking for lawn care products? 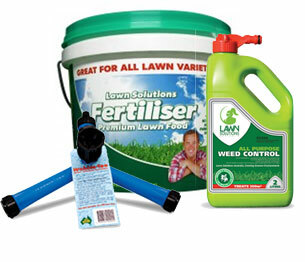 Our lawn store has a wide variety of high quality products for all lawn needs! Read tips to get the grass in your yard looking its best. We’ve got articles on everything from mowing and maintenance to how to solve common lawn problems. All Lawn Solutions Australia producers are fully accredited and inspected by Australia’s only turf accreditation program, AusGAP.